Does it seem like time is whooshing by this year? I can't believe Easter is almost here. Perhaps you already completed the big sewing projects for the occasion, or maybe you are still searching for the perfect patterns. Even if you don't have enough time to sew, you can still make this Easter very special for your little ones and family by making small presents for them. Some of these patterns only take just an hour or two to complete. And did I mention that some of the patterns are even free? These projects are perfect scrap busters, so you can just draw on the material you already have. Fox Coin Pouch (Free Pattern) My favorite has to be this Fox Coin Pouch. It just consists of several scraps of fabric and the result is ultra adorable. This is even suitable for adults. Maybe a little gift for your BFF, sister, mother-in-law or cousin? Everything Bag This little bag comes in four stylish options (Classic, Angled, Envelope, Scalloped). The Everything Bag has a button or snap closure, so if you are not confident with zipper yet, this bag is a perfect project for you. Hoppy Easter! Wall Hanging If you are more of a quilter and enjoy decorating your home, why not try this Hoppy Easter! Wall Hanging? Along with the adorable bunny are four Easter eggs that you can use your scrap fabric to complete. 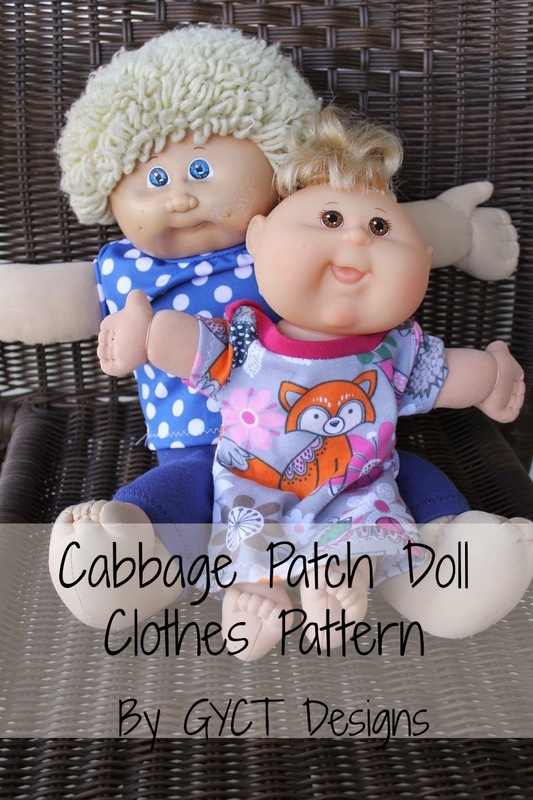 Cabbage Patch Clothes (Free Pattern) Not only your kiddos need new clothes, their well-loved baby dolls also need some! This Cabbage Patch Clothes free pattern comes in two sizes - one for the 12" baby doll and one for the 17" baby doll. The pattern includes options for tops, pants and dress. Go check out the top with a peplum. Just sheer adorableness! 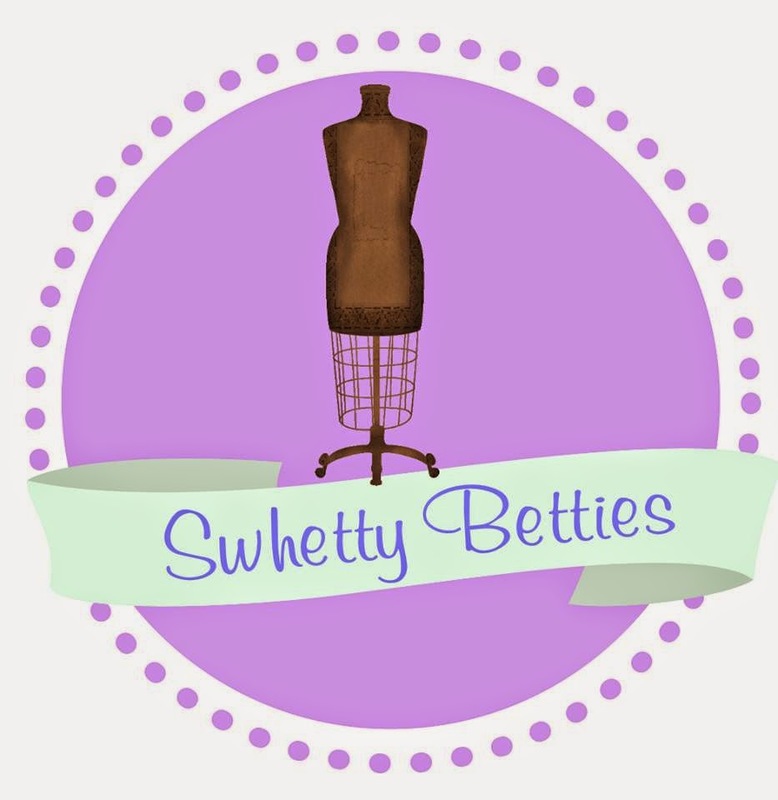 The kids' baby dolls now can be as stylish as their mamas. Super Hero Toy Cape (Free Pattern) If your kids love Superman or Batgirl more than baby dolls, there's something for them as well. 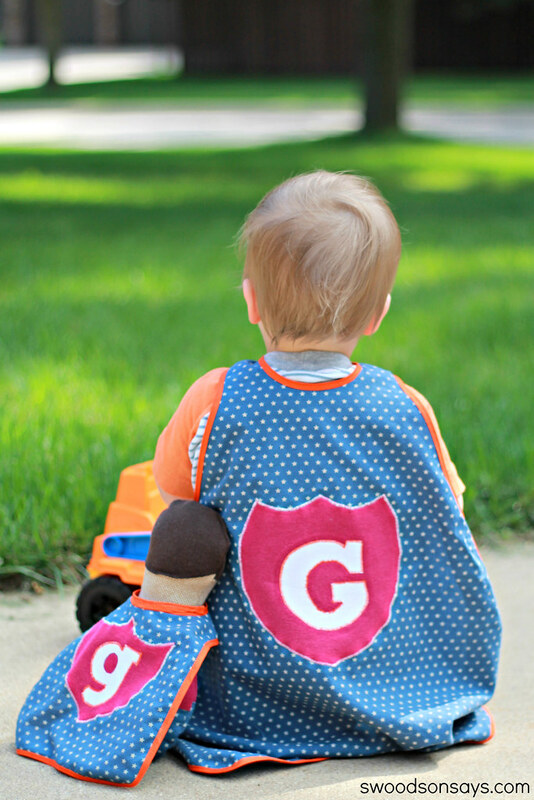 This Super Hero Toy Cape is another quick sew. I love that the tutorial includes how to use Wonder Under applique, but you can also use stenciling. Lazy Day Crossover Bag If you want mommy and daughter matching accessories, then this Lazy Day Crossover Bag pattern fits the bill. Not only it is cute, but it's very practical as well. You can choose to put inside pocket with or without zipper. It can be used as a purse or a book bag. It's even big enough to be a diaper bag! Isabella’s Banded Skirt (Free Pattern) The Isabella’s Banded Skirt pattern is suitable for absolute beginner, but the result is a beautiful skirt for your little princess. Choose a border print and it will become her go-to-skirt, even beyond Easter. Coffee Sleeve (Free Pattern) If you need to make multiple quick-sew gifts for Easter, then don't pass up this Coffee Sleeve free pattern. You can still personalize it by using the recipient's favorite color in the fabric. You are also making the environment better by eliminating the disposable coffee sleeves! FHS Perfect Petal Purse Pattern Flowers come to my mind when I think about Easter. 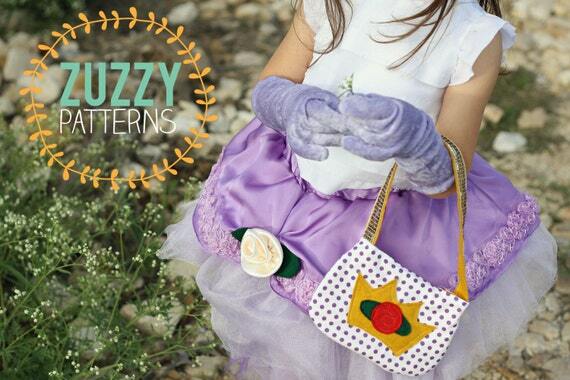 This little gorgeous FHS Perfect Petal Purse will sure bring flower and sunshine into your little girl's life. 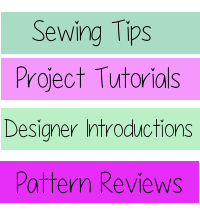 The fully photographed tutorial takes you through each step, making this a quick and easy sew. Plum Princess Gloves with Bonus Purse Pattern Little girls love pretend play so the Plum Princess Gloves with matching a purse are great as Easter presents. Sewing gloves might look ambitious, but they are an absolute breeze to sew - follow the instruction and you can finish in half an hour or less! Sew Pandi Toy Sleeping Bags (Free Pattern) In addition to sewing your little ones something pretty, don't forget to keep their favorite soft dolls or stuffed animals safe and snug in the adorable Sew Pandi Toy Sleeping Bags. The sleeping bag pattern only requires 5/8 yard (or meter) polar fleece for the top, 1/2 yard (or meter) polar fleece for the bottom and some stuffing. It will come together in no time! Let me know what you think! I'd love to see your beautiful finished projects!